The Pacific Islands Development Forum (PIDF) is maturing rapidly. And, it is doing so with a membership that reflects the breadth and richness of Pacific island cultures, economies and experiences, says Prime Minister Voreqe Bainimarama. 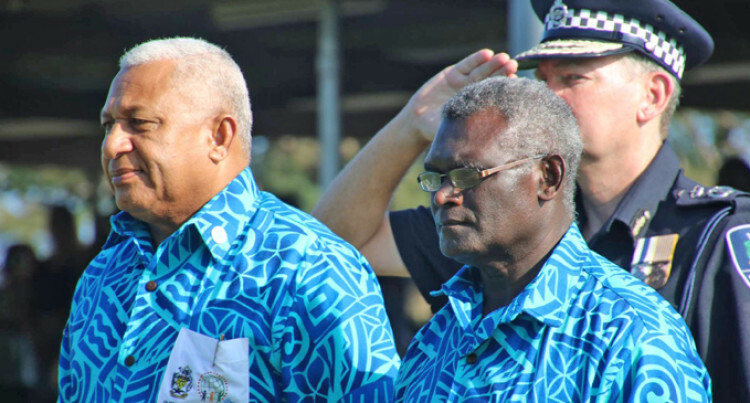 Speaking at the traditional welcome ceremony held in Honiara, Solomon Islands on the first day of the Forum’s summit, Mr Bainimarama said the Forum provided a platform for all. “We are gathered here today not just as governments, but as one Pacific people, because the PIDF was founded as a place where governments, NGOs, the business community, foundations, the academic community and ordinary citizens can freely exchange ideas—all with the goal of solving our region’s most pressing problems. “From the first day, we have been organised for action. We have focused very specifically and practically on finding solutions for green growth and sustainable development. And we have had the wisdom to know that government cannot achieve that alone. He said while through the PIDF the voice of the Pacific had been heard on climate change, it was still the beginning.